March 26, 2019– Azul Linhas Aéreas has become the first airline in the Americas to exceed modern flight tracking safety standards by embracing truly global, real-time flight tracking capabilities onboard aircraft, with SITAONAIR’s best-in-class AIRCOM® FlightTracker. 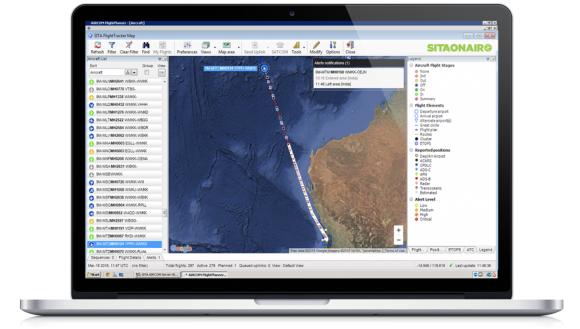 Already adopted by airlines operating more than 400,000 flights every month, SITAONAIR’s AIRCOM FlightTracker is a ground-based software system delivering vital global real-time aircraft position alerting to airline operations teams. The application aggregates the best available inflight position data from a wealth of sources – including Aireon’s cutting-edge space-based ADS-B data provided by FlightAware – on a single aircraft position display. It can deliver real-time flight tracking coverage, even in the farthest reaches of the globe, including oceanic and other remote areas, without aircraft modifications. And coverage density has only improved with Aireon’s space-based ADS-B system. The Aireon space-based ADS-B data system is hosted on the Iridium NEXT satellite constellation, which consists of 66 low-earth orbit crosslinked satellites with an additional nine satellites in orbit serving as spares. The constellation was completed in January of this year and is expected to be fully operational in the coming weeks. Aireon has partnered with FlightAware to provide global flight tracking through FlightAware’s products and partners like SITAONAIR. 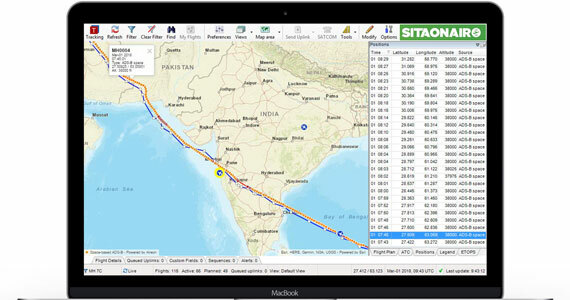 To discover SITAONAIR’s AIRCOM FlightTracker, check out our videos and webinar; discover how you can achieve real-time flight tracking with space-based ADS-B data; download our whitepaper; or explore www.sitaonair.aero. Raunheim | September 10, 2018– Lufthansa Systems and Ethiopian Airlines Group today announced the introduction of Lufthansa Systems’ Lido/Flight 4D solution in Ethiopian’s flight planning system. This new generation of the proven flight planning solution from Lufthansa Systems offers extensive automation and optimization functions for flight planning and control processes. Ethiopian Airlines will be using Lido/Flight 4D for the next five years. “We are pleased to further cement our collaboration with Lufthansa Systems by upgrading our flight planning system to Lido/Flight 4D, having used the Lido Flight Planning Service Lido/FPLS for the last five years. Lido/Flight 4D is one of the most effective flight planning solutions worldwide and has been rewarding in augmenting our efforts to optimize flight planning and control endeavors in our expanding service and latest technology acquisition. With the introduction of Lido/Flight 4D, we are aiming to further optimize our routings and flight planning processes, thereby reaping benefits in terms of reduced flying time and fuel consumption,” said Tewolde GebreMariam, Group Chief Executive Officer at Ethiopian Airlines. Around 120 airlines with a total of more than 6,000 aircraft are currently using Lufthansa Systems’ flight planning solution, which has been successful in the market for more than 17 years. The most recent releases covered certain basic components for migrating to current technologies as well as functional innovations and improvements for takeoff and landing weight optimization, crew briefing and route optimization. In various comparative analyses based on thousands of flight plans, Lido/Flight was able to reduce fuel costs by an average of 2 percent, cut flying times by 1.9 percent and save 1.6 percent of air traffic control fees compared to its competitors. Raunheim | December 19, 2017–To make sure the man with the white beard and red suit can deliver all his gifts on time again this year, a team of experts from Lufthansa Systems worked with representatives from the MATHEON Research Center and Konrad Zuse Institute Berlin to calculate the shortest round trip around the globe. The project was launched by the German “Wissenschaft im Dialog” research initiative at the end of 2016. Raunheim | November 23, 2017–Lufthansa Systems today announced that Argentinian carrier Aerolíneas Argentinas will continue to use Lufthansa Systems’ Lido/Flight 4D flight planning system and the NetLine/Load weight and balance application for the next five years. Both companies signed the contract renewal in August. Aerolíneas Argentinas has been using both products successfully since 2013. Raunheim, Germany | October 5, 2017– Lufthansa Systems today announced that it is expanding its portfolio of navigation solutions with Lido/SkyData. This solution consists of ARINC 424 data and includes navigation information such as airports, heliports, taxiways and runways, waypoints, navaids, airspaces and airways, and flight procedures. The data is updated every 28 days and is available both as a one-time purchase or by subscription. The European Aviation Safety Agency (EASA) has certified the data production standards for Lido/SkyData with a Type 1 Letter of Acceptance (LoA). Los Angeles, CA | July 28, 2016– Global Eagle Entertainment Inc. (Nasdaq: ENT) (“GEE”), a worldwide provider of end-to-end connectivity and media to the airline, maritime and remote mobility markets, today announced the real-time integration of Connected Aircraft data streams with GEE’s masFlight airline operations data platform, which now features real-time flight tracking and satellite-transmitted surveillance data for accurate, complete and informative operational analytics. Since its 2011 introduction, GEE’s masFlight has utilized ground-based radar and ADS-B surveillance systems to track and analyze airline performance, employing data from hundreds of commercial, government, and primary data sources. Information including flight schedules, flight status, radar and ADS-B surveillance, surface and atmospheric weather conditions, and airport surface operations is analyzed. 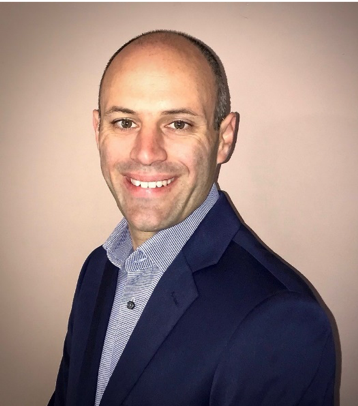 Global airlines employ GEE to monitor operations, improve flight scheduling, benchmark against competition and power enterprise-wide business intelligence platforms. With the integration of real-time data from the Connected Aircraft, GEE now provides airline executives and operations managers with the most current and complete views of flight performance. GEE can access information from it’s navAero aircraft interface devices, proprietary Airconnect Global in-flight connectivity systems, or third-party communications links. Flight profiles, including three-dimensional flight tracks, can be updated every second with full data encryption and segregation for security. Based on airline requirements, GEE can now also utilize real-time maintenance, in-flight entertainment and environmental data to supply business intelligence and improve operations workflow. The cloud-based platform is accessible on a subscription basis with an available library of dashboards and visualization tools highlighting key performance metrics. masFlight integrates with third-party business intelligence systems including Tableau, SiSense and Oracle, and has a robust programming API for local system integration.